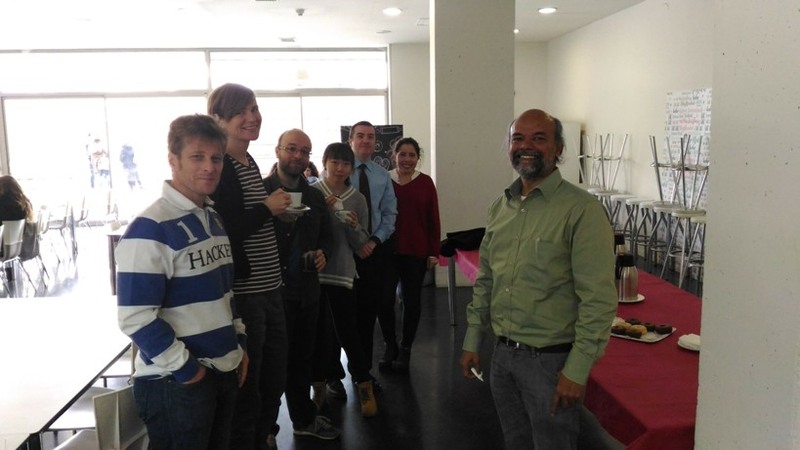 The Spain Chapter of the IEEE Circuits and Systems Society co-organizes for the second year in a row the Workshop on Fast Design of Digital Systems, which is locally organized by the "Universidad San Pablo CEU" in Madrid, Spain on February 20-21, 2019. The workshop will be held at Escuela Politécnica Superior, University San Pablo CEU. It is a two-day event aimed at researchers and hardware engineers and covers the fast design of digital systems (e.g. FPGA, ASIC) with the electronic design tool AHIR. AHIR enables the hardware compilation of a circuit description. The input entry is a high-level programming language and the output is fully functional VHDL. All sessions are composed of theory and practice. Examples will be tested on FPGA boards. In day 1 there will be an overview on the latest FPGA trends provided by AVNET-Silica Engineers. Madhav P. Desai holds a degree in Electrical Engineering from IIT Bombay and a PhD degree from University of Illinois in Urbana-Champaign. During the period 1992-1996 he was with the Semiconductor Engineering Group of Digital Equipment Corporation in Hudson, MA, where he worked as Principal Engineer developing two of the fastest CMOS microprocessors in history. Currently, he is a Full Professor at the Department of Electrical Engineering, IIT Bombay. His research covers VLSI design, circuits and systems, and combinatorial algorithms. Gabriel Caffarena is an Associate Professor at University CEU-San Pablo. His research focuses on Hardware acceleration of Signal Processing algorithms.